Dr. Jeffrey L. Smith graduated from Life Chiropractic University in 1995 after receiving his BA from the University of Central Florida and his certification from the Reese Institute School of Massage. Dr. Smith, previously a successful building contractor, boldly changed careers when his fathers health declined due to cancer. Watching his fathers health deteriorate deeply motivated him to help others to have better health and a better quality of life. Through his years of practice, Dr. Smith has come to realize that chiropractic care, although great for relieving back or neck pain, really offers a patient so much more. For years, he has seen that when people have less pressure on their nerve system, they function better! Most patients have an overload of physical, chemical, and emotional stresses, interfering with their inner communication system and their self-correcting abilities. Dr. Smith’s goal has become to clear interference in the Nervous System to create better function and a better quality of life for each person. Dr. Jeffrey Smith provides gentle adjustments great for all ages. Dr. Smith’s adjustment style blends some of the newest, most refined and extraordinarily gentle chiropractic care like Network Spinal Analysis, Bio Geometric Integration, Neuro-Emotional Technique, and Koren Specific Technique. Over the years, patients have shared with him an increased ability to identify emotional blocks and patterns of holding tension. They have appreciated the wide range of changes they experience from his gentle, holistic approach. Assisting people in the process and watching people’s lives change makes this work so engaging and fulfilling for Dr. Smith. 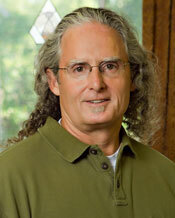 Dr. Smith lives in Gainesville Florida with his wife, Mary, a massage therapist. 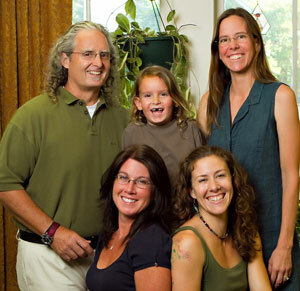 Their practice, A Center for Well-Being, offers gentle chiropractic, massage therapy, and acupuncture. Dr Smith enjoys spending time with his children and, being a long time athlete, currently runs, swims, cross trains, and golfs. 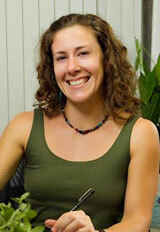 Mary is Dr. Smith’s wife and she works at A Center for Well-Being as a Licensed Massage Therapist. She sees both private clients and some of Dr. Smith’s patients. Mary has been practicing Massage since 1993 and enjoys helping clients feel more peaceful and pain-free. Of all her clients, the ones who see the greatest changes in their massage sessions are the ones who are also under Dr. Smith’s care. Their tissue responds quicker and is more responsive to change. Dr. Smith’s work is unique in that he looks for the ease in his patients’ systems and helps the ease to spread. His philosophy on finding the ease and creating change from there has greatly influenced her work. Additionally, Mary coordinates and organizes office systems and work-flow for A Center for Well-Being. Occasionally you will see her behind the desk or answering the phone. She loves Dr. Smith’s work and hearing from patients about how the treatments have impacted their lives. 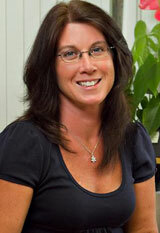 Kim Gilbert, Office Manager and Insurance Billing Specialist. Kim has been working in the Chiropractic field since 1989, and she started at A Center for Well-Being in 2003. She works 2 days per week, knows all the workings of the office, and is a huge asset to the practice. She likes Dr. Smith’s care because it has helped her change her overall health, in addition to her own self-care, diet, and exercise. In 2005 when her family moved to Ocala, she kept her job and chose to add the long commute to her life because Dr. Smith and everyone at the office are like family to her. Ashley takes care of many of the day-to-day activities of answering the phone, scheduling, filing, and many other tasks that help maintain a consistent flow in the office. She is an awesome organizer and great source of fun. 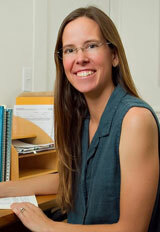 She enjoys conversing with patients and is graciously open to new opportunities and knowledge. You can find out more about her Massage and Personal Training practice on the “Links” page. Thanks for visiting our site. We look forward to meeting with you in person and learning how chiropractic can fit into your health care goals. Give our Gainesville chiropractic office a call or click here to email us and we can arrange a time to explore your options!